If you know me, you would probably know that I am a gold digger and I keep digging until I get something for you to write about. I came across this project a day ago while searching for someone to do a short term gig for me. Honestly, at first I rubbished this project but then I took a careful look and realized the potential of the freelance industry and what they were bringing to the table. We all have been freelancers at some point. And you know the hurdles one can face while cashing out via these centralized payment gateways. And don't forget the ridiculous amount of time - Time is money, right? Well, now you don't have to struggle as much as you did in the past. If you are a freelancer or looking for short term gigs you got it all covered under the wings of DigiWage. Digiwage is a decentralized workplace hub for developers, entrepreneurs, blockchain enthusiasts, startups and resources where each of them find solutions corresponding to their current projects or kick start new projects. Digiwage token 'WAGE' is used in exchange for different services. Digiwage workplace acts as an umbrella for multiple projects across diverse categories. Every project holder has full pledged authority on the project along with every user on the Digiwage platform and community. A connected world, large global community of people sharing their knowledge, skill-set and resources for a shared collective growth, to create a strong link between virtual connections and tangible physical results and outcomes. Digiwage aim to become the goto marketplace for all freelancers, entrepreneurs, and firms in the cryptocurrency sphere for any sort of talent or skills. Not just that, but DigiWage is also making their marketplace decentralized by adding a payment processor that can be used anywhere, which I think would bring a lot of value to the project in future. Please note that DigiWage is the re-branded version of PHILSCURRENCY. The latter is now swapped on a 1:1 ratio for DigiWage. This is where it gets interesting. 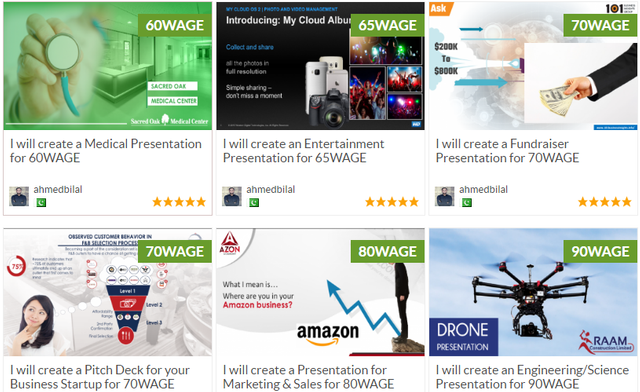 DigiWage offers a platform for Freelancers, Developers, Entrepreneurs, and Hiring Managers to find talents and skill-sets that fit their criteria. Anyone can post their job or seek a job. Users quote their price in WAGE and get paid in WAGE when the job is performed. I personally value coins that have built-in usability and I am sure many of you prefer that too. DigiWage has a working product in place that uses the WAGE coin in exchange for different services that users seek on the Freelance Workplace platform. Feel free to check it out here. Please know that DigiWage is a Masternode coin. You can go to Mnode.Club to check out the ROI on masternode. Masternodes are a great way to make passive income. 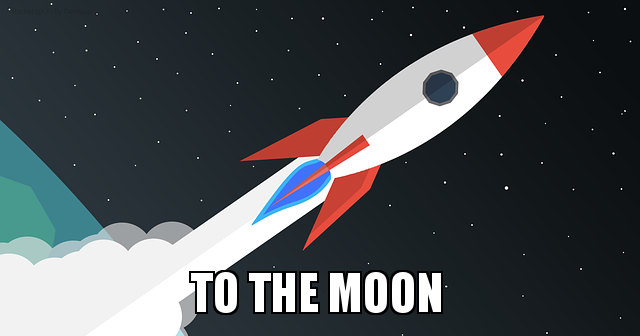 There are many coins that offer the Masternode capability but they are fairly famous and don't offer much ROI or just in case they do, their coins don't hold much potential to excel. 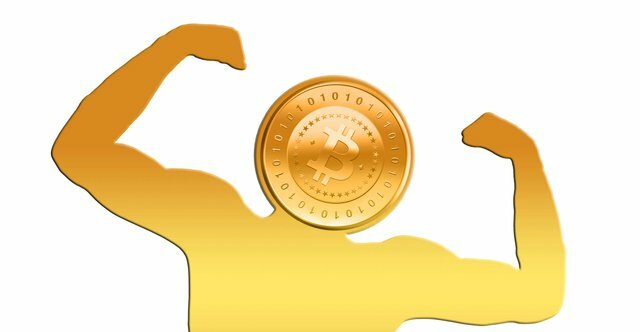 Many of the crypto enthusiasts that I talk to, are often fascinated by the idea of having a Masternode of their own but what keeps them away is the maintenance requirements. Although, there are some Shared-Masternode services that do the maintenance for you but the ROI is not usually that tempting. DigiWage offers a Single-Click Masternode Setup facility for the less-educated crypto users. You don't have a reason not to have a Masternode now, do you? If you would like to receive some free WAGE coins, check out their Twitter Faucet page. First, you will have to register. Once you get registered you can make one tweet a day to receive free coins depending upon the number of following you may have. If you would like to read more in-depth about DigiWage, the Whitepaper might be a good place to start. That is one of our projects we are currently working on! 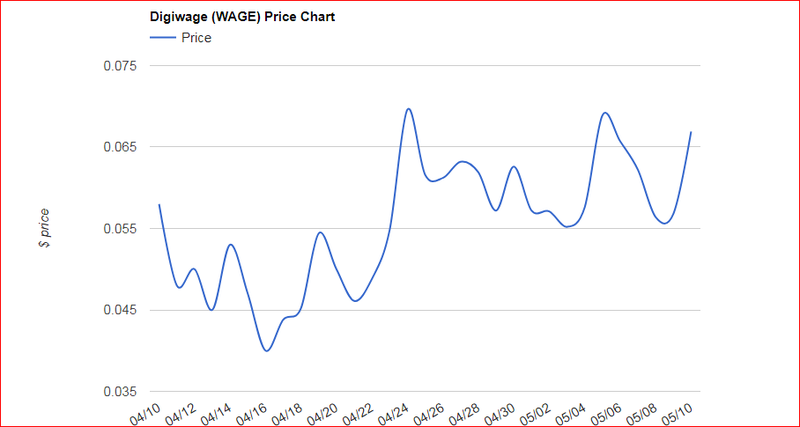 We are very excited to have more than wage on our platform soon. Check our discord or social sites for updates! That's an interesting question actually. And one can apply the same question to Steemit. Why not use BitShares? But I guess not. It's good for a project and their developers to have the flexibility to play with their brainchild. this looks just like fiverr.i guess this makes it accessible to those who dont have fiat banking or paypal to use. i personally hate paypal so maybe ill give it a try. Fiverr removed Bitcoin because it was "unpopular". Exactly, my point. 90% of the freelance platforms prefers Paypal, yet it doesn't provide services to most of the countries. Where I come from, we are the top#3 freelancers in the world. Yet, nu such service to count on. I think marketplace for freelancers is a good idea. Let's make everything decentralized now that we have blockchain technology! haha this is getting very interesting! Exactly. Let's get smarter. And put an end to those outrageous fee's. Such a good idea. It is best idea after steemit that is profitable to every skillful person. You sure grab some. This is going to change the freelancing world the way it is. No more hurdles! Well to my own view of digiwage, I think it's gonna be a blast and I can't wait for it to be launched, but i have a question @ghayas the amount you said are to be sent to the various address, i didn't see any address in this post so please reply this comment with the address. The address will be yours. Once you have coins in your wallet, you will have to fill that google doc form. The rest is self-explanatory. This is awesome, I am signing up immediately lol. Was talking to someone about this yesterday! Yup. Make your accounts who knows someone somewhere is looking for the kinda of skills that you offer. I can agree that blockchain will free us all...I’m learning and will to participate...wage coin interesting. Masternode in one click. Amazing. About all a place where people can meet share and work together in an environment community that were building in our control. Remarkable. Thank you. Thank you for reading. I would love to hear on that Masternode venture. Let me know how it goes, I may jump too sometime. Definitely, thank you. Good luck. This is encouraging to us. Am heading over there to check it out. I love the fact that blockchain technology is taking over different entrepreneurial sectors. 점점 오는 것같은데 되게 빨리 다가오는 기분이 듭니다! Airdrop is much safer option for new comers to understand and associate with new crypto offerings. Howdy @Ghayas A.K.A Mr Tpot :D.
Wow! you didn't oversell it! it sounds awesome. The whole point of the freelance market is that everybody has something to offer, we all have a very unique skillset and somebody is always looking for that magical thing that makes us who we are. We are all marketable in some small way. There is a niche for us all and this awesome initiative can harness the potential of that. There are people for whom a few dollars a day or indeed even each week can make a world of difference, this can actually be a way out of abject poverty for them! Our revolution powers forward full STEEM ahead. Hope your journey is epic! You are absolutely right. I know of many people who strive for a $1/day. Not everyone is lucky enough to have the resources to migrate no matter how skilled you are. Freelancing gives you the opportunity to sell your skills from the comfort of your home. DigiWage makes it smarter and faster. Cut the time and massive fee's. Thanks for your kinds words, appreciate it. I am a student and this kinds of resources make me crazy.I am working in freelancer,fiverr and design99 freelancing site but i didn't know about it.is it new freelancing site? It is a freelancer platform.Specifically designed just for you! Get out of those centralized blood-suckers! You have a choice now. wow such as an amazing article .. Thanks for sharing with us dear @ghayas because every one now find the job in community but could not find proper due to her low idea about projects.. I fell asleep while I was waiting for your post 😣This is an awesome project @ghayas. I am signing up immediately. Thanks mate! Well, that has nothing to do with h the platform or Cryptocurrencies. It's upto people what sorta of jobs they post there and what sorta of jobs people seek. It's obvious that a Crypto platform will have more jobs about Cryptocurrencies than any other category. For example, the posts that tend to do good on steemit are usually crypto related. Why? Because everyone here is somewhat involved in crypto. Another example could be the #tags that we use, a contest tag includes posts about contest and similarly a #story tage related to stories. So, its understandable that a crypto platform will have more jobs about Crypto. We feel that it's always great to have more options available for freelancers and businesses. Allows them to reach a larger market. There are many people involved in the crypto world who could be potential customers. We are also in the works of bridging the gap between crypto and fiat. More services that are able to do this, the better it will be for crypto to become mainstream. Sounds like an interesting idea. There are a lot of sites out there that help do matchmaking of tasks like writing such as textbroker.com, but if this were to work out, it could actually be a good way for people with certain skills to make some extra coin. I bet a lot of people could even do this sort of work, while they are at work. Exactly. There are no boundaries to the freelance world and its a double-trouble when you put the same on Blockchain. Could be unstoppable. Just imagine a single click gets you paid, no credit cards, no banks, no processing fee's. A lot of people wants to post their short gigs online, but the hassle of it makes them drop their ideas. This would help a lot. Great article. This coin looks superior to Coinlancer. I clicked on the link and I’m really not sure what to put in the box’s would appreciate if you could help me out? I the tweet remove everything and put in your wallet address and make the tweet. Copy the link to that tweet and paste in the following field. Now press the register button and wait of the message. Once you are registered. Come back and click on the "Click me to tweet" button. Write a Tweet, copy the link and paste in the blank field. You should receive a success message soon. Airdrop into what wallet? Digiwave and masternode can it be done offline? I'm new to this thing and haven't got the right clues. I already have another wallet and it does relate with masternode. Is it possible to have more of those masternode operating on one pc or it will make a little problem later on? It shouldn't be a problem to run multiple different masternodes on one computer. We have great community support in our discord. If you have any questions during your setup, there is usually someone online available to give guidance. This is awesome. Especially, DigiWage offers a 'Single-Click Masternode Setup' facility for the less-educated crypto users. yeah, that's what I thought was one cool feature to have in place. I have bought so many coins and some are still on going so slow and some are gone already, makes feel so reluctant to purchase any coin at the token sales, because alot of project got crazy hypes but no future, but i hope this really have a good future and know what they are really doing, i really love investing in token but to be honest kinda scared now. I think I can relate to you. I haven never participated in icos(except for EOS) and always spoke against. I am not trying to make fun of anyone, but it won't be a good idea to invest in something that doesn't have a function business platform or a working revenue model. Unless of course the project is EOS. Coins with utility, similar to STEEM or BNB are destined to succeed as compared to other coins. DigiWage has a usage. And can prove a great deal in future. That's the first time I've seen a crypto offer advise to make a master node. At $0.05 now is a good time to do so. You got a 14.72% upvote from @postpromoter courtesy of @ghayas! Guys, if you want to have a look and get some information in a good ICO that will start by the end of the month, I can suggest you RAWG. The ICO site is this one: https://token.rawg.io/. It's a video game discovery platform that converts your skills into goods and services. Quite good looking, don't you think? Have a look! I hope this information is helpful. Nice article! I am running two digiwage masternodes. Easy to set up using guides and not any issues so far with the wallet. This is really dope. It's about time though. I'm really keen on the airdrop idea. i need to find more deals like this.. Thanks for sharing @ghayas!!! Wow this is great post for me. We nice project, I will definitely try and see how that experience goes. Fiver is to difficult for my liking. We currently have developers working on updating our UI and adding a payment processor! Stay tuned :) We are trying to make it as effortless as possible to post a service on our platform. Please let me know if you have questions. I would like to ask @ghayas, how to do I spend the digiwage when I get paid and do I also have to have some of these coins to be able to use it? Digiwage is listed on Crypto-Bridge exchange. https://wallet.crypto-bridge.org/market/BRIDGE.WAGE_BRIDGE.BTC It's a great easy to use exchange. The fees for our coin are very low. We don't have anything like gas. DigiWage is listed on a few exchanges. The complete list can be found on their website. They are also listed on the BitShares Blockchain based DEX called CryptoBridge. Open an account here. Once you are registered then click on the following link and buy/sell your coins. I believe that Digiwage will be of a great value to most people it will definitely be valuable, thanks to @ghaya for sharing the good news. love it, Such a good idea. How many total supply of digiwage coins do you have an how many are in circulation. My second question is what exchanges do you plan to go on? As of now, DigiWage is listed on CryptoBridge. The team is looking into several other exchanges. Do you get paid with digiwave instead of fiat or? Yes, you can quote your prices in WAGE. I guess they are looking into other currencies too to include.